You have probably never heard of the International Coaching Courses (ITK), but this multinational and multidisciplinary coaching course offered by the Faculty Sports Sciences of Leipzig University in Germany has had a remarkable impact on the evolution of global sports coaching. In its original avatar, ITK trained specialised coaches exclusively for the German set-up that made it a world power before the unification in the late '60s and early '70s. Germany's unprecedented success in the Olympics in that period owes a lot to the birth of a new coaching system in which the Leipzig course played a major role. 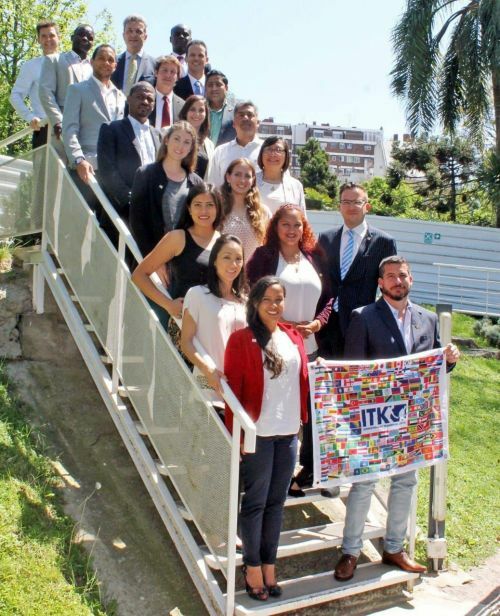 Since those days, ITK has spread its wings to become a truly international programme that involves extensive training in 12 disciplines such as Football, Basketball, Volleyball, Track and Field, amongst others. The postgraduate level course is specifically designed for pre-eminent coaches to hone and perfect their skills. "The course is divided into three sections, psychological, physiological and sport-specific training, it covers all aspects of the game and is very holistic," says basketball coach Umakant Singh, who is an alumnus of the institute and the current Indian ambassador of ITK. "The beauty of the training programme is that it focuses on coaches of developing nations so that we can justifiably claim our place in the Olympic hierarchy through exposure to first-world, cutting-edge tools and techniques of coaching," says Singh, who is a FIBA approved coach and former national level basketball player. The ITK course is offered in three specialisations including sports for the disabled, an oft-overlooked area of the spectrum of global sports. It is taught in four languages, English, Spanish, French and Arabic and lasts for five months. The course content is pretty comprehensive and covers such diverse topics as sports management and sports medicine in one intensive curriculum. "We are taught by the best in the field, from established coaches to sports science professors," adds Singh. Notable alumni include Dr. Hassan Moustafa, the president of the International Handball Federation and Sam Ramasamy who is a member of the International Olympic Committee. The international course has, since 1964, trained over 5000 coaches from 150 countries and contributed significantly in the development of Olympic sports in these countries and played a silent role in shaping the coaching infrastructure of many developing countries through their programme. So how can ITK help India become a global sports powerhouse? Singh, who holds a PhD, reveals: "Often, the most neglected part of a sports coaching programme of a country is the training of the coaches themselves. We tend to rely a lot on foreign coaches in most Olympic sports. ITK can help change this. If more and more indigenous coaches are trained with the latest methods and technologies, they can, in turn, lead a generation of sporting stars that can shine at the highest level." At this point of time, Singh is the current Indian ambassador of this prestigious programme and recently attended an all-ambassador meet in Argentina. The next step, according to him, is to get more schools and colleges involved in what he calls knowledge-sharing platform where educational institutions, apart from bodies like SAI, get together with organisations like ITK to employ and use the expertise of home-grown coaches trained by the best. All development must begin at the grassroots.